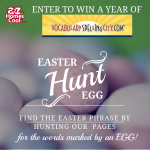 Enter to win a Scholastic Acorn Book set! 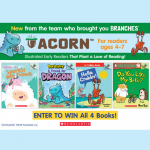 Enter to win a set of Acorn titles, a new line of illustrated early readers for ages 4-7 that plant a love of reading. 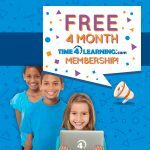 Enter to win a FREE 4-month Time4Learning membership! Time4Learning is an award-winning, online curriculum for PreK through 12th grade covering math, language arts, science, and social studies. With flexible scheduling, student-paced learning, automated grading & more, homeschooling your children just got easier! What better way to start the holiday than with a FREE gift to keep or give?